Certainly some who identify with Christianity may find it difficult to say anything at all compelling in moments like these, because they spend too much time in close proximity to the hate that fuels these acts of violence. A segment of evangelicalism is at a disadvantage to respond adequately to tragedies like this one, because of the complicity of many evangelical leaders in this kind of hatred and violence. Now in no way is this an accurate description of all evangelicals or evangelical churches; I was raised in evangelicalism and still carry its influence in my own theology, so this is not an attack on evangelicalism per se. But too many evangelical leaders in this country—and too many evangelical voters—have a connection to this present darkness for which they must repent. Evangelicalism must shoulder some of the blame, to the extent that it encourages a rejection and suspicion of Islam as a threat to Christianity and to the United States. Every time evangelical leaders say that Islam is a violent and devilish religion, as Franklin Graham and others too often have, they stoke animus toward Islam and dehumanize billions of people who identify with that historic religious tradition. In our moment, evangelicalism provides religious cover for white nationalism, abetting the collapse of racial hatred, jealous patriotism, and religious zeal that feeds acts of violence like New Zealand and Charlottesville. Evangelicals harbor nationalists when they support political leaders who peddle in racist dog whistles, blasphemously claiming that these leaders were sent by God as messiahs. They harbor nationalists when they do not come out unequivocally and reject this kind of hatred and violence as antithetical to the Gospel. But lest we who identify as mainline Christians feel the impulse to congratulate ourselves for being on the enlightened side of our tradition, I should say that I am also underwhelmed by our response to these moments. So much of liberal Protestantism still seems intent on defining its brand of Christianity as standing for as little that is distinctive as possible, so that it renders us incapable of saying anything particularly helpful. Allergic to any kind of commitments that would resemble concrete theological doctrines, we peddle in platitudes of love and justice that add very little to the public response to these kinds of moments. I’m angry. I’m angry about what happened in New Zealand. I’m angry with the normalization of hate in a moment in American history when we should be celebrating progress. I’m angry with the co-opting of my religious tradition to provide ideological cover for such inhumanity. And I’m angry because I don’t see enough anger in well-meaning Christian statements condemning the attacks. So I want to channel my anger into a call that may fall roughly on some ears. I think we Christians need to declare war on white nationalism. This is the righteous cause in our time, that we need a holy war against hate. White nationalism is anathema to Christian belief, antithetical to everything we know to be good in the God disclosed to us in Jesus Christ. It is the work of the devil, and we must stamp it out. We must declare a holy war on white nationalism. White nationalism attacked us when it attacked communities of worshipping Muslims, because Christians, Muslims, and Jews are theological kin. Obviously this is a truth that Christians have failed miserably. The church’s history of anti-Semitism is brutal. Christian antagonism toward Islam is deep, met with equal disdain from Muslim extremists. Yet the sacred texts of all three religions remind us that we have a shared mythological origin. All three religions trace their lineage to the patriarch Abraham. All three traditions are the stars laid before Abraham as a promise from God and a blessing on the world. Christians, Jews, and Muslims together embody God’s grace in this world. When Muslims gather for prayer, the world knows that God is great and God is good just as clearly as when Christians gather to sing in their churches. And when pious Muslims are senselessly attacked, that violence is a transgression against God and a wound in the Christian heart. For they are our sisters; they are our brothers. To attack Muslims is an attack on the Christian faith. White nationalism attacked us when it attacked in New Zealand, because that violence was an affront to the Christian conviction that all human beings have value in the eyes of God. Martin Luther King, Jr. taught us well on this point: every human being is the imago Dei, the image of God, the reflection of divine personality in the world. As a result, every human being has value; every human being is inviolable. This is a fundamental tenet of Christian faith. It is the lesson taught in that historic Christian doctrine of incarnation, that in the person of Jesus Christ, God so endorsed human being as to make it abundantly clear that each of us has value in the eyes of God. When white nationalists attack people of other faiths or people of color, they declare their victims to be less than human, a declaration that Christianity vigorously rejects. White nationalism is a threat to Christianity because the hate it espouses is nothing short of heresy. The language of heresy doesn’t sit well with many liberal Christians, I know, because we are convinced that our liberalism requires us to reject litmus tests for measuring who counts as a Christian. 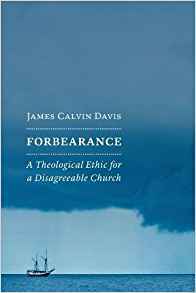 But this may be one of those moments when we want to keep in our pockets the prerogative to say yes, there are boundaries to what it means to belong to the Christian fold, there are beliefs that are beyond the acceptable range—there are limits to our forbearance. Even liberal Christians might want to reserve the right to call something heresy. If we do, this is the moment, for hate is a Christian heresy. Hate is antithetical to everything we know about God in the revelation of Christ. Hate is the opposite of love, of justice and respect and regard for other human beings. Hate is the opposite of the ethic by which Jesus lived, that he taught, that he expressed in his death and that was vindicated in his resurrection. Hate is anti-Christ, hate in God’s name is blasphemous, and we Christians must reject it in no uncertain terms. Finally, white nationalists attacked us when they attacked in New Zealand because when they attacked those worshippers in New Zealand, they attacked Christ. Jesus could not have been clearer when he taught that all human suffering is an affront to God, and God is present in all human suffering. When we feed the hungry and provide for the thirsty, when we shelter the cold and welcome the stranger, when we mitigate the suffering of those around us, we minister to Jesus himself. But when we ignore the hungry and thirsty; when we shut up the imprisoned and forget about them; when we round up the stranger, separate them from their children, stoke fear of them, and build walls to keep them away from us; when we prey upon the pious and murder them while they pay homage to God—when we do these things, we do them to Jesus himself. And truly I tell you, says Jesus, those who do these things “will go away into eternal punishment,” fuel for the devil and his angels. Human suffering is an affront to God, and God is in all human suffering. The suffering, here and abroad, that results from the hate of white nationalism is an attack on the God we worship, and the Christ to whom we pledge allegiance. So let us declare a holy war on white nationalism. Now by calling for war, I am not calling for violence against white nationalists. In her own work against racism, the theologian Kelly Brown Douglas makes clear that the Christian struggle against racial violence is a battle between the God of life and freedom and the demonic powers of hate. The weapons of life and freedom are different than the weapons of hate. Hate peddles in fear and violence. The God of life assaults with love and embrace. Dr. King called us to respond to violence with soul force, to assert the dignity of every human being, to stand behind the shield of faith and wield the sword of love—to do the hard work of loving even those who hate. Violence is not the answer, but this moment does call for anger, righteous anger, rooted in the recognition that the hate of white nationalism is the antithesis of all that we stand for as Christians. It is anathema; it is heresy. Racial hatred needs to be rooted out, confronted, and destroyed. And the first place we ought to start is its infiltration in our churches. To come to the spirited defense of the Muslim community does not require liberal-leaning Christians to apologize for the particularities of our beliefs. It does not require us to peddle in generic platitudes. This tragedy inflicted on our sisters and brothers in New Zealand, the mind-boggling hate in Charlottesville, the racist power struggles over our southern border—all of these moments when white nationalism flexes require us to flex back, with the strength of our Christian conviction to say this is not right, this is not normal, this is not who we are, and in the name of Christ Jesus our Lord we shall not stand for it anymore.